Do you have lots of basil in your garden? 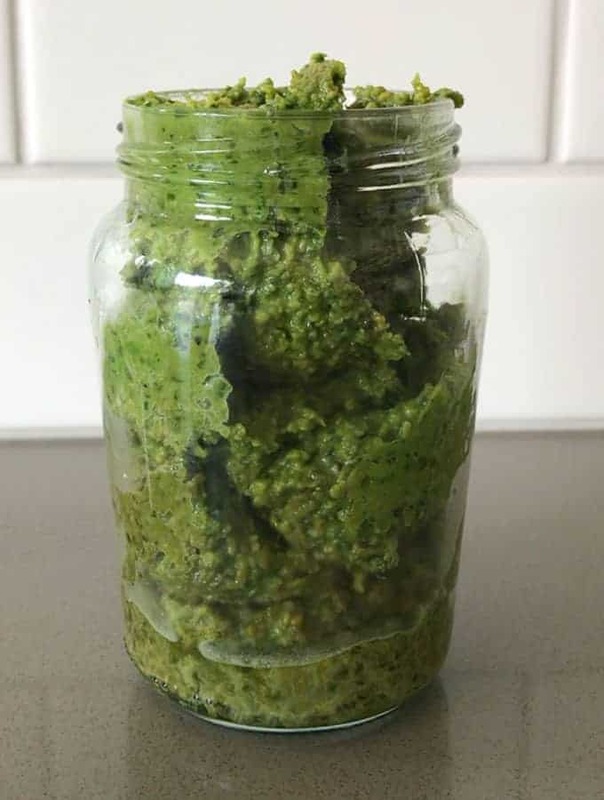 This homemade cashew pesto is so delicious and super simple to make. I had so much basil in my garden and I thought it was time I made some pesto. I decided to make it with cashews instead of pine nuts because they are more affordable and I wanted to compare the flavours. 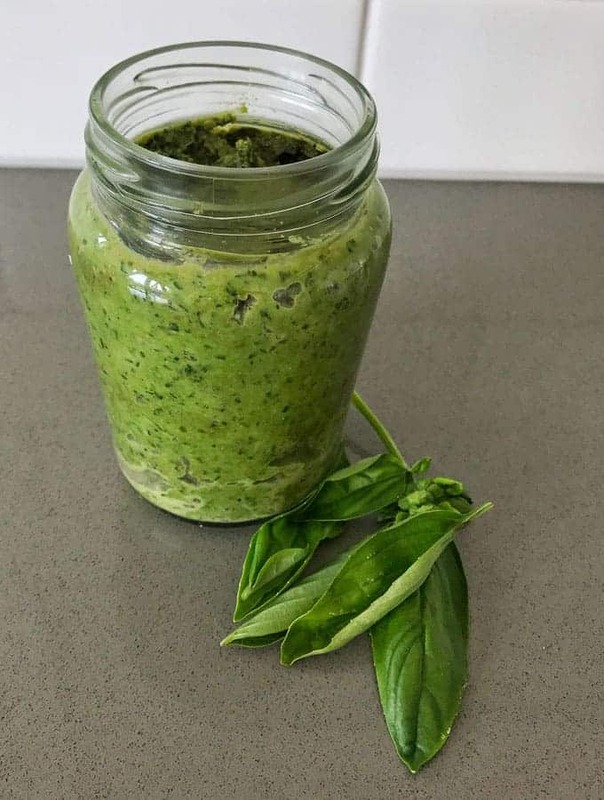 I was so happy with the results and this recipe has become my go-to for pesto. 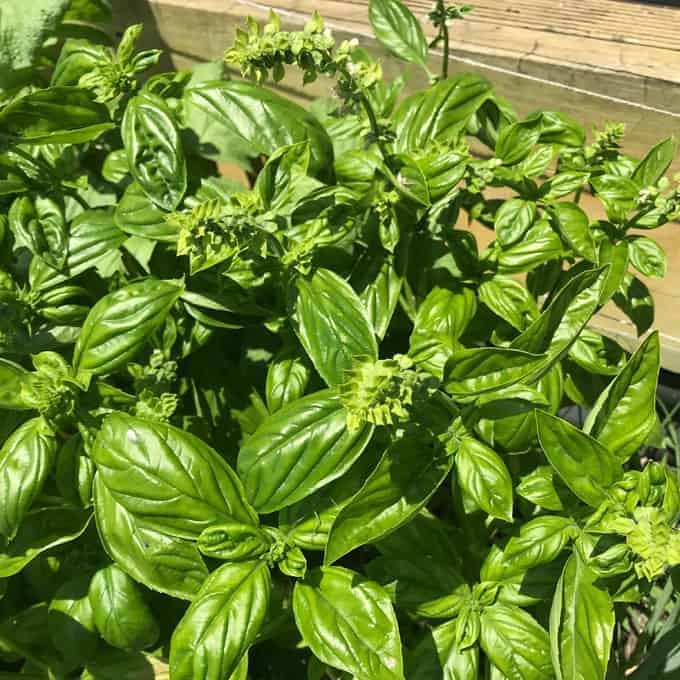 Basil grows very well in New Zealand during the spring and summer, it just needs lots of water to keep it healthy and hydrated. This recipe uses around 2 cups of basil leaves. It is so simple to whip up your own pesto at home, the food processor does all of the work for you. 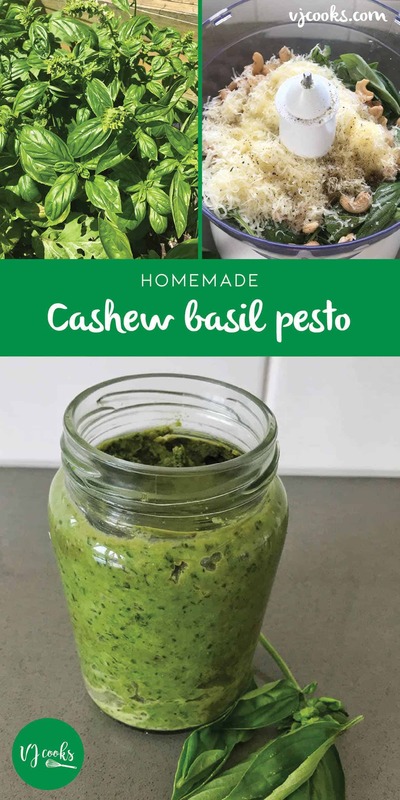 This recipe only has 5 ingredients: basil, cashews, garlic, olive oil and grated parmesan cheese. Make sure you season your pesto with plenty of salt and pepper. 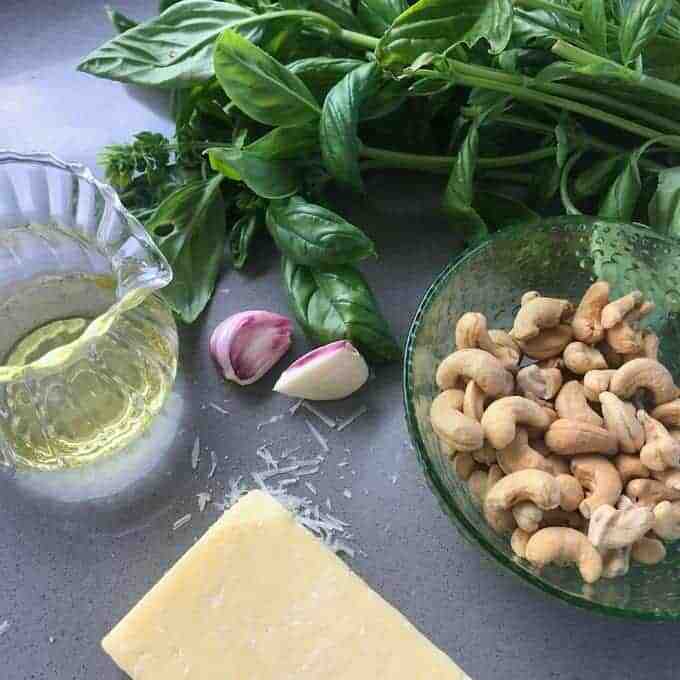 You add the seasoning before you process the ingredients but you can always add more to the pesto if needed after you have tasted it at the end. This recipe makes around one cup of pesto so keep it in an airtight jar in the fridge. I have also had success freezing it in small plastic containers in the freezer. Just let it defrost when needed and stir through pasta. Pesto is so versatile it is perfect on pizza, in savoury scrolls, as a dip and of course with pasta. 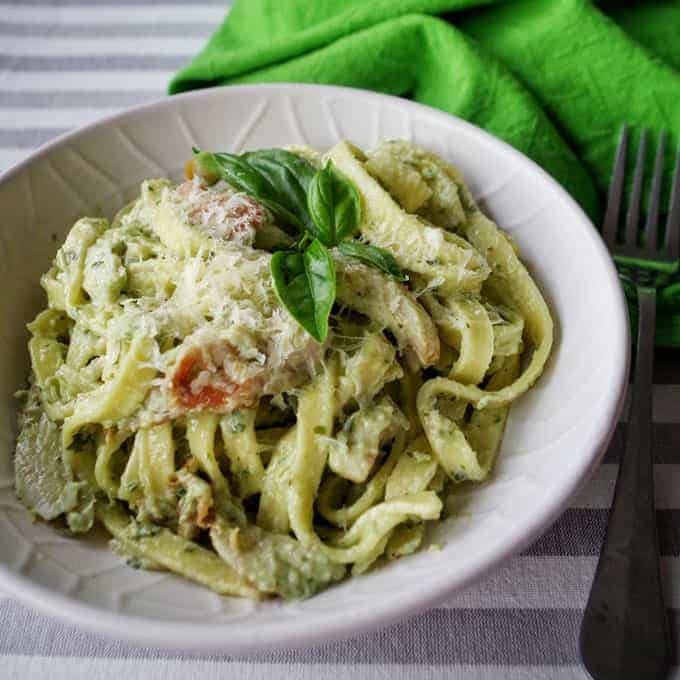 After I made this delicious pesto I created this quick and easy recipe for creamy chicken pesto pasta. 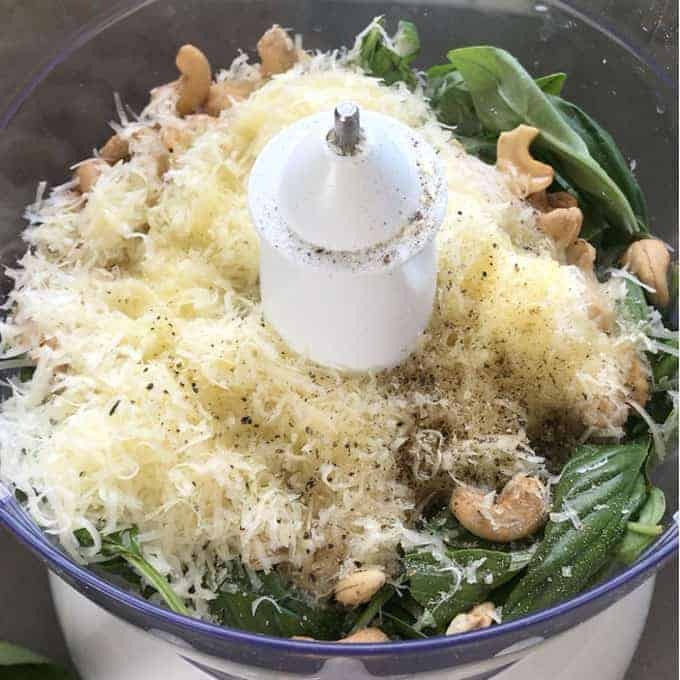 Place all ingredients into a food processor and blend until it becomes a smooth paste. Transfer to an airtight jar or container and store in the fridge until needed. You can freeze the pesto in small plastic container for up to 1 year.